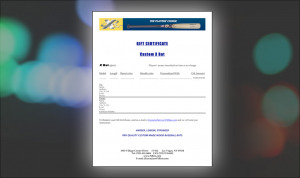 X Bats offers Gift Certificates for that special player. X Bats offers Gift Certificates for that special player. He/she can use these to customize their own bat to their own specs. A great gift idea when you are short on time and don't know the size of model to choose. X Bats are made from the finest hard maple available anywhere. More and more bat companies are advertising hard maple bats but what they don't tell you are the differences in hard maple as a wood. Hard maple or sugar maple or black maple are terms used to describe the types of maple wood frequently used to make wood baseball bats today. X Bat has found the hardest of the hard maple to make our bats. The difficulty in working with maple as a material to make baseball bats is the weight. While hard maple is prized for its density and strength, with these benefits comes a big liability for any bat maker - extra weight. Most bat makers can ill afford to throw out half of their hard maple billets, those too heavy to make modern baseball bats. Instead they use soft maple, red maple or lighter maple grown in warmer climates. These yield more usable weight billets but do not deliver the performance of X BATS hard maple bats. Hard maple logs are not all the same. Hard maple bats are made from maple grown in Eastern Canada, New England, down through Pennsylvania and across to Wisconsin. All hard maple is not created equal. Through the trials and tribulations of making more maple bats than any other bat manufacturer, X Bat has identified the right kind of maple to make the hardest, longest lasting hard maple baseball bats. Using variables like soil mineral content, weather patterns during peak growth periods, seasonal temperature differentials and selecting the right time of year to harvest logs, X Bat's hard maple bats have become the choice of the top hitters in professional baseball as well as thousands of developing players at every level of the game. If you want really hard maple, get yourself an X Bat. You'll see why we are the player's choice.